Instant Support FAQ: I can't enable Windows Authentication because the option doesnt exist under Authentication in IIS7. I can't enable Windows Authentication because the option doesnt exist under Authentication in IIS7. When configuring Instant Archive Viewer to use Windows Authentication in IIS 7 on a Windows 2008 Server, by default there is no option to choose Windows Authentication. In this case you will need to add the role in the Server Manager. To configure Windows Authentication for IIS 7. 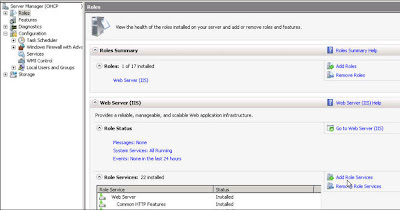 In the Role Services section, click Add Role Services. The Add Role Services wizard appears.